The White House hosted a 30-minute webinar yesterday directed at students and teachers about the killing of Osama bin Laden. Ben Rhodes, deputy assistant to the president and deputy national security advisor for strategic communications and speechwriting, began by recapping the tragic events of 9/11 and the raid on the compound last Sunday, during which Bin Laden was killed by U.S. forces. Students were also briefed on Bin Laden's involvement in al Qaeda, and were shown a map of Pakistan that indicated where Abbottabad, the town in which he was hiding, is located. 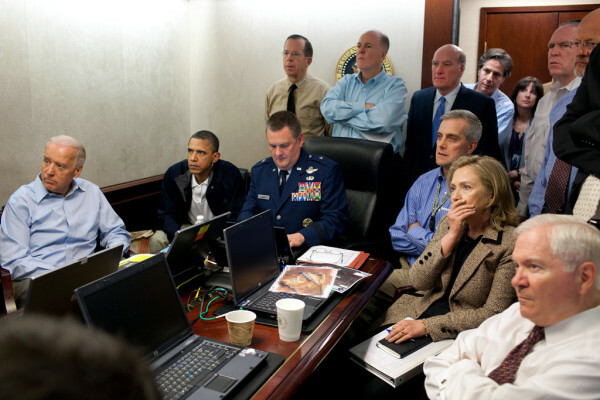 A couple of photos were displayed, including the recently famous one of President Obama and his administration watching the raid as it occurred. Rhodes, who also watched the raid in real time, said that he had never been more nervous in his life. Before turning over to the Q&A portion of the webinar, Rhodes explained that this event opens up a new chapter for the U.S., and that America's students now have hope for a safer future. A couple of students asked questions reflecting their concerns about possible retaliation from al Qaeda or other terrorist groups. Another participant asked about the planning of the raid itself. Michelle McNeil at Politics K-12 has more on the smart questions students asked.